What is Thought Foundation? A venue, an arts centre, a gallery, a creative space, a shop, a café and an ideology; the Birtley-based space was born around 18 months ago with kindness, thoughtfulness, nurturing and creativity at its very heart. Sounding more like a loving parent for our society’s creatives than a viable business in these cash-strapped times, I was intrigued to find out more. Currently running (until Thursday 31st January) is the Affordable Arts Fair, which supports local artists by exhibiting their work as an extension of the shop space. Artists’ work on display and available to buy include Jane MacCracken, whose biro work depicts local scenes but not in a traditional fashion; Jane Saunders, whose portraits of famous people are created with stitch and felt and Megan Randall’s ceramic artwork arrangements of delicate, white porcelain flowers. 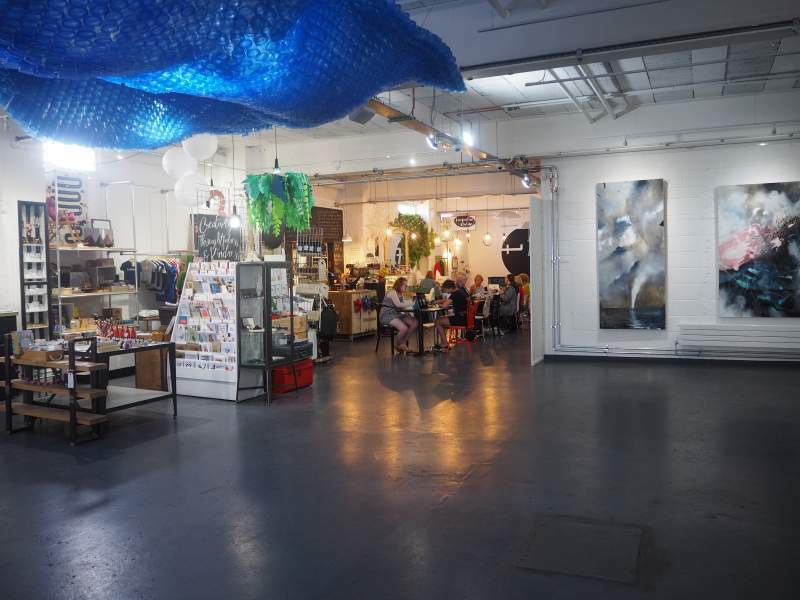 The last Friday of every month is TF Lates Art Night, a chance for you to get in touch with your artistic side by taking part in fun creative workshops hosted by local artists. Explore image making, painting, artists techniques and more for only £15 and for those feeling the need for a bit of Dutch courage to connect to their muse, the bar will be open. For the younger clientele there is the Young Human Art Club running every Saturday for 6-15 year olds, where there is the opportunity to explore artists and develop sketchbooks. Thought Foundation is located at Clarity House, Durham Road, Birtley.